Our side of the Divide! and the best of the outdoors at your fingertips. 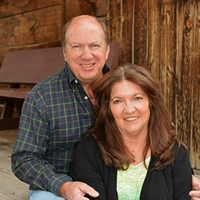 Bert Sibley, Broker Associate, CDPE, SFR, and Mary Sibley, Licensed P.A. Nestled just below the Grand Mesa, this beautiful custom built 3,192 square foot home boasts Cathedral ceilings and deck with unparalleled views of the San Juan’s, West Elks and Uncompaghre mountain ranges. This lovely three bedroom two bath home has gorgeous ash floors throughout, two walk in closets in the master bedroom, and a spacious walk in kitchen pantry upstairs. Downstairs there is a cozy family room with adjoining huge recreation room with walkout basement. There is also a work shop downstairs as well as separate wash basin for man’s best friend. This well built home was constructed with Hardiplank cement siding, 30 year Class A fire retardant shingles and extra insulation in roof and attics to keep you warm in the winter and cool in the summer. Close to National forest boundary so there is abundant wildlife to be seen. Come take in the splendor and tranquility this lovely mountain home has to offer. Bert Sibley is hands down the best realtor I have ever had the privilege of knowing! He is so accommodating and works his tail off until you are happy. We had a great experience buying a house with Bert, which is why I refer him to everybody! He goes the extra mile, and that’s why he’s the best! Bert Sibley is an excellent realtor! He worked tirelessly to help us find the new home and property we had been searching for. Bert took time to get to know us and was sincerely interested in meeting our needs- he is a true advocate for his clients. Bert has a keen sense of humor- a definite asset in any profession. We recommend him without hesitation. 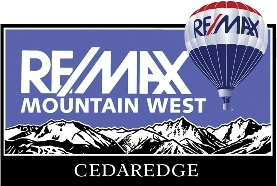 When we decided to move from our home in Cedaredge we decided to use ReMax. We wanted the network of ReMax and an agent we felt would know the market. When we walked into the Cedaredge office we were met by Mary Sibley, who introduced us to her husband Bert. His very friendly, professional manner impressed us immediately. He along with Mary and his daughter Nikki all worked overtime to help us sell our home and purchase another in Delta. We have bought and sold many homes throughout our lives, but we have never had a real estate agent work as hard as Bert to both sell our home and to find a home perfect for us at this time of our lives. We have and would gladly recommend Bert Sibley as the best agent to represent them in both selling their current home and buying their next. "I am a first time home buyer. Bert helped me through this process with great knowledge. He made my home buying experience very easy. never … more "
"Bert Sibley was amazing to work with! 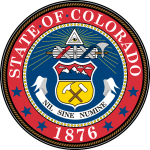 Being out of state buying a property in Colorado wasn't difficult at all as Bert kept us in the loop on every … more "
"Bert is the best. He keeps you informed, explains things very well and is truly out to help his clients get or find what they need. Even though it's … more "